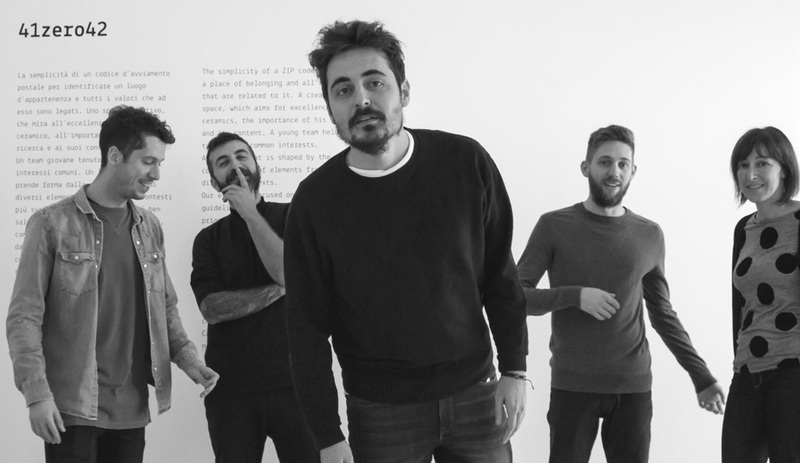 Antonello Di Leonardo (second from left) and Martino Manni (centre) founded 41zero42 in 2013. The company has since grown to a staff of 10. The two friends, who first met 10 years ago during a dinner party in Bologna, rolled out their inaugural collection – Burlington, a quarry-stone-inspired porcelain – at Coverings in Atlanta in 2013. 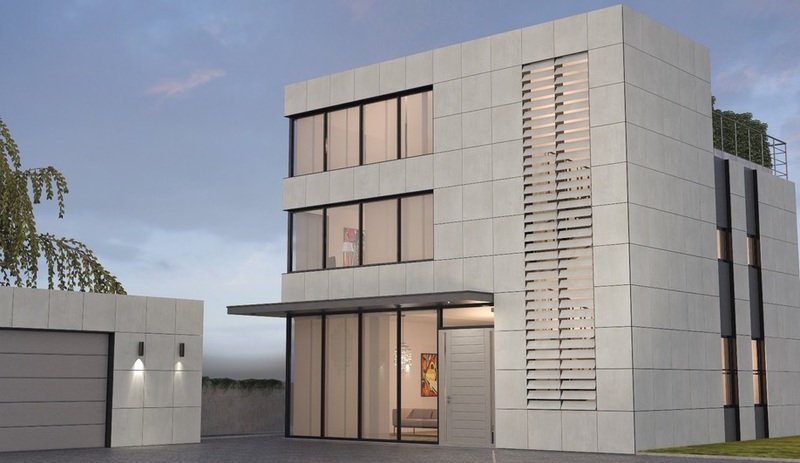 The positive feedback they received led to 15 more projects, each a contemporary take on industry norms. 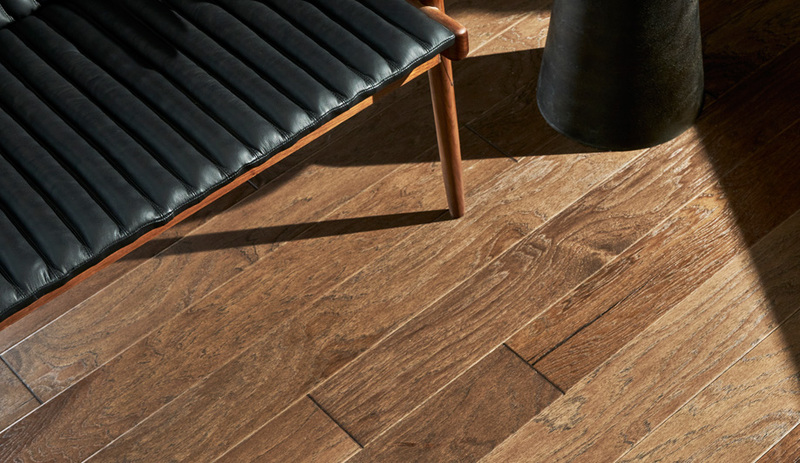 For their first European showing at Cersaie that same year, they debuted U-color, a cold-glazed porcelain series of wood-look planks inspired by the industrial wooden floors of the 1970s. Faux grain effects are hardly novel in the tile business, but U-color amused fairgoers with its vivid, cartoon-like shades of yellow, orange and blue, among the 60 hues offered. 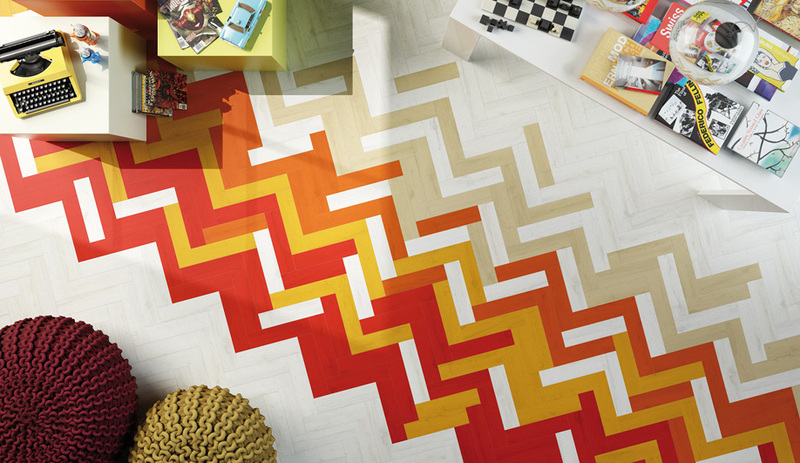 Laid down in chevron formation and in varied colour arrangements, the series hit squarely on a growing trend – especially in the hospitality sector – of turning floors and walls into creative canvases. 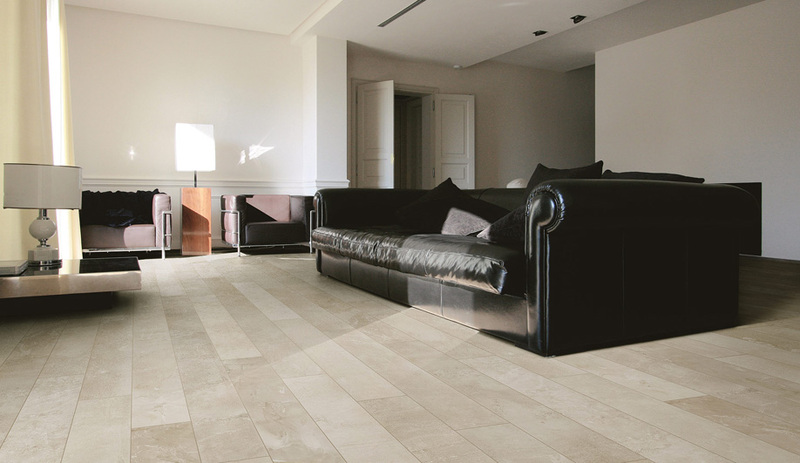 Futura, a mix-and-match collection with a look rooted in the Bauhaus, is the latest offering from the Modena studio. 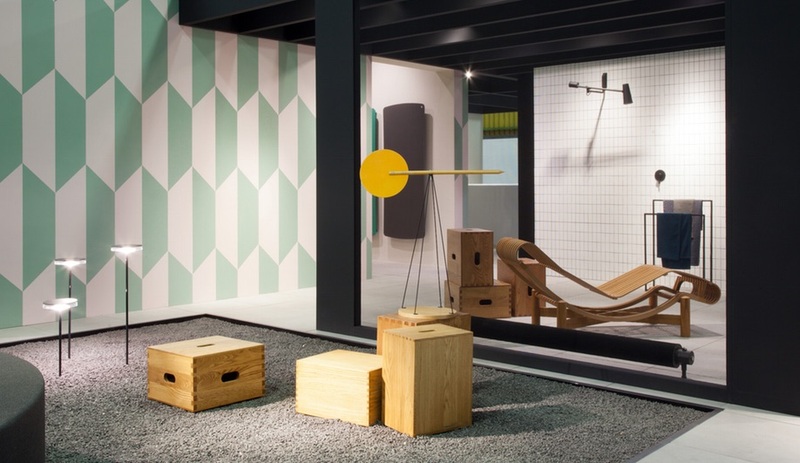 In Bologna this fall, the pair unveiled Futura, a play on geometric forms inspired by the Bauhaus and Pierre Chareau. 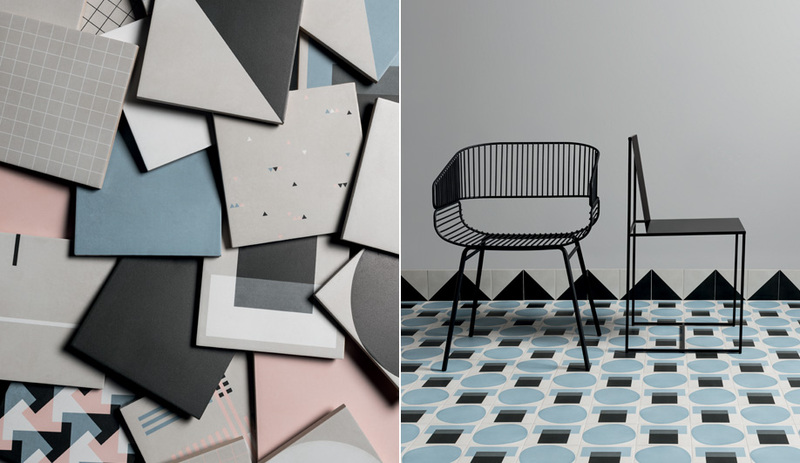 Comprising four patterns, each evoking a modernist aesthetic and defined by simple shapes like asymmetric circles, rectangles and triangles, the collection features an on-trend colour palette of millennial rose and blue along with black and white. 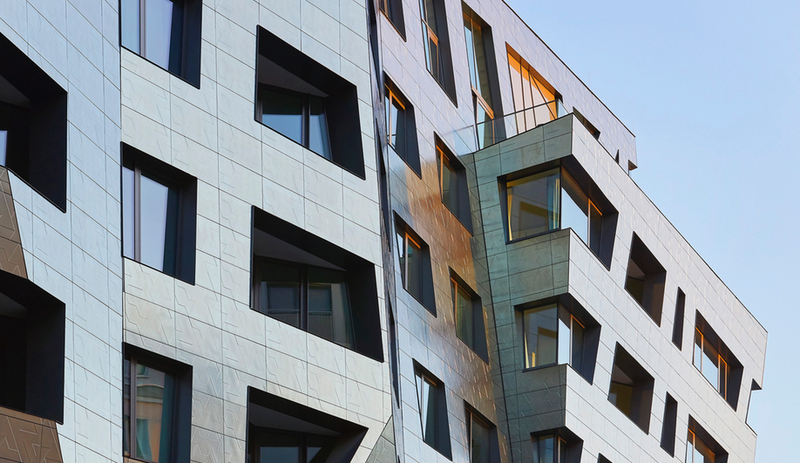 “We started our studio to make something new,” says Di Leonardo. At Cersaie, where marble imitations and mosaics abound, the studio’s booth, though small, had an energetic buzz befitting the industry’s newest cool kids.